Queen Upholstered Headboard: 68"W x 8"D x 64"H - 110lbs. Queen Upholstered Footboard with slats: 68"W x 8"D x 32"H - 89.1lbs. Queen/King Set of Side Rails: 80"W x 3"D x 10"H - 61.6lbs. King Upholstered Headboard: 84"W x 8"D x 67"H - 128.7lbs. King Upholstered Footboard with slats: 84"W x 8"D x 31"H - 106.7lbs. Cal. King Upholstered Headboard: 80.2"W x 7.6"D x 67"H - 123.2lbs. Cal. King Upholstered Footboard with slats: 80.2"W x 7.6"D x 31"H - 99lbs. Cal. King Set of Side Rails: 84"W x 3.5"D x 10"H - 64.9lbs. 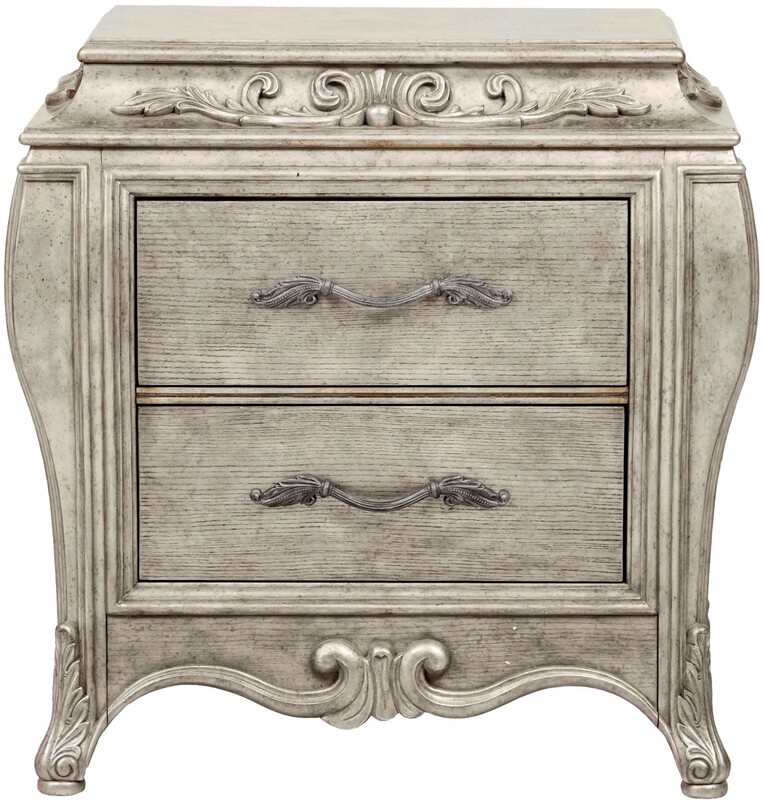 Nightstand: 32"W x 20"D x 32.3"H - 135.3lbs. 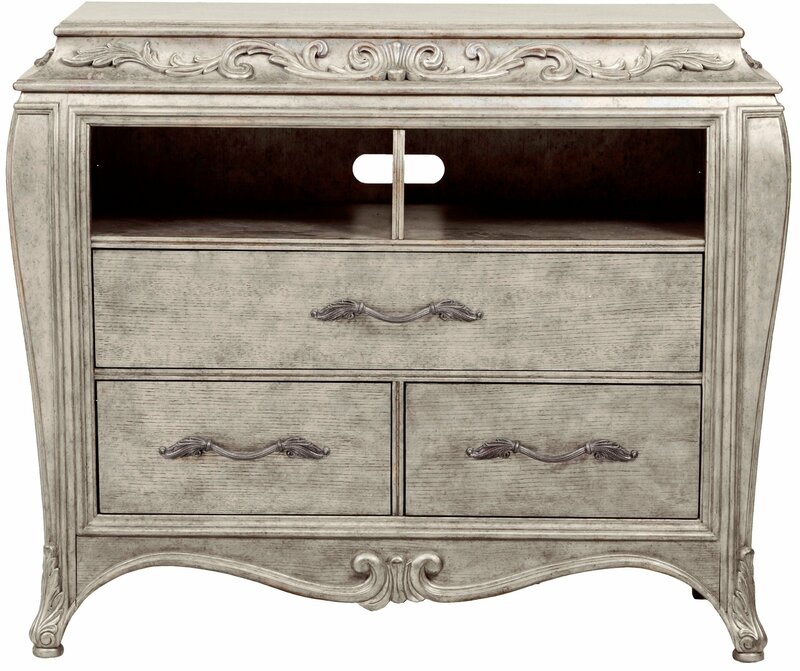 Dresser: 70"W x 21"D x 41"H - 304lbs. Mirror: 57"W x 3"D x 42"H - 84lbs. 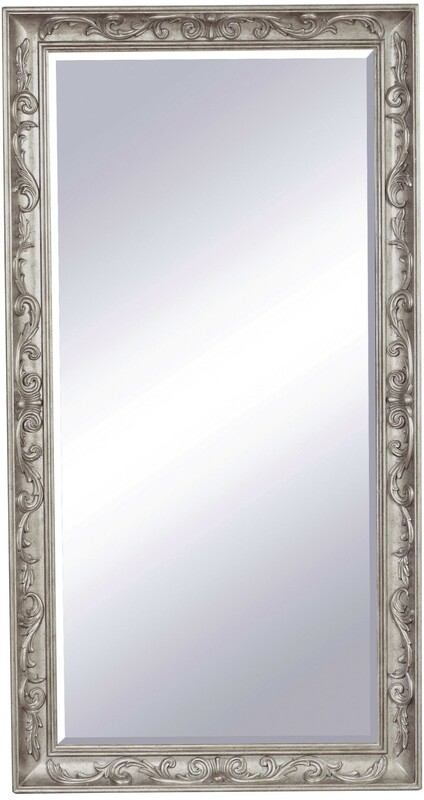 Floor Mirror: 42"W x 3.1"D x 80"H - 119lbs. 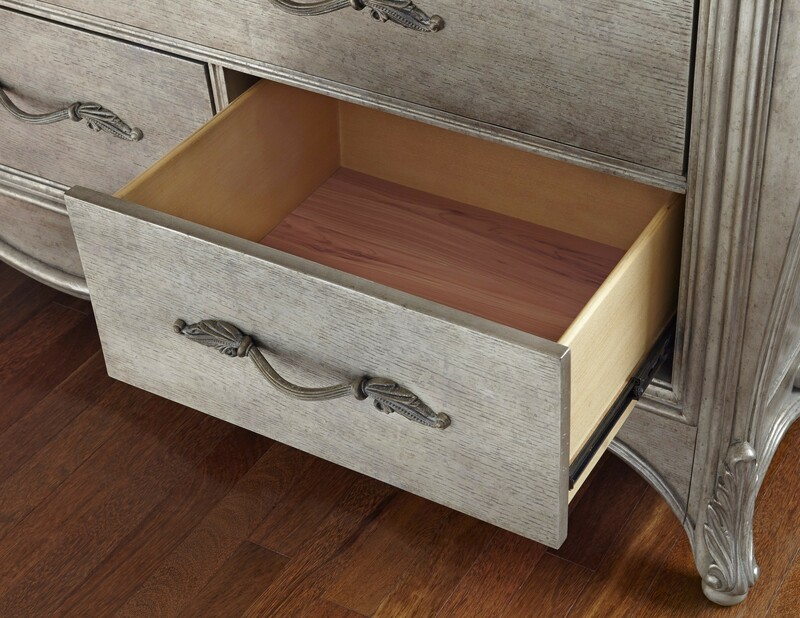 Drawer Chest: 44"W x 21"D x 64"H - 277.2lbs. Media Chest: 50"W x 21"D x 41"H - 238.7lbs. 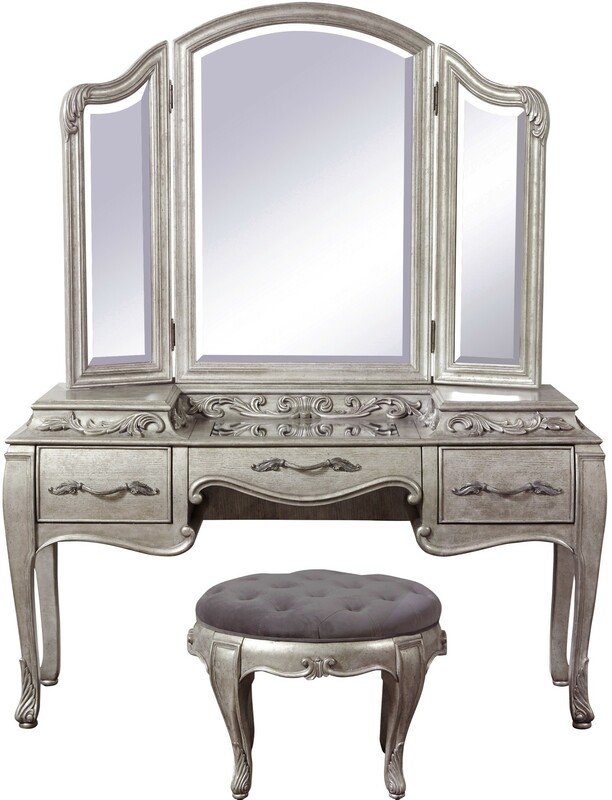 Vanity: 61.8"W x 20.6"D x 33.8"H - 202.4lbs. 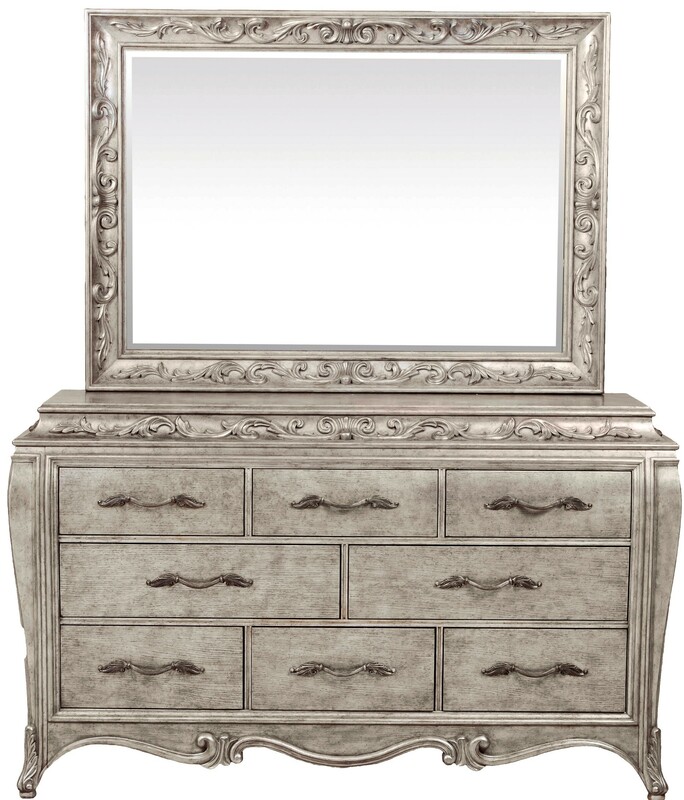 Vanity Mirror: 54"W x 2"D x 42"H - 61.6lbs. 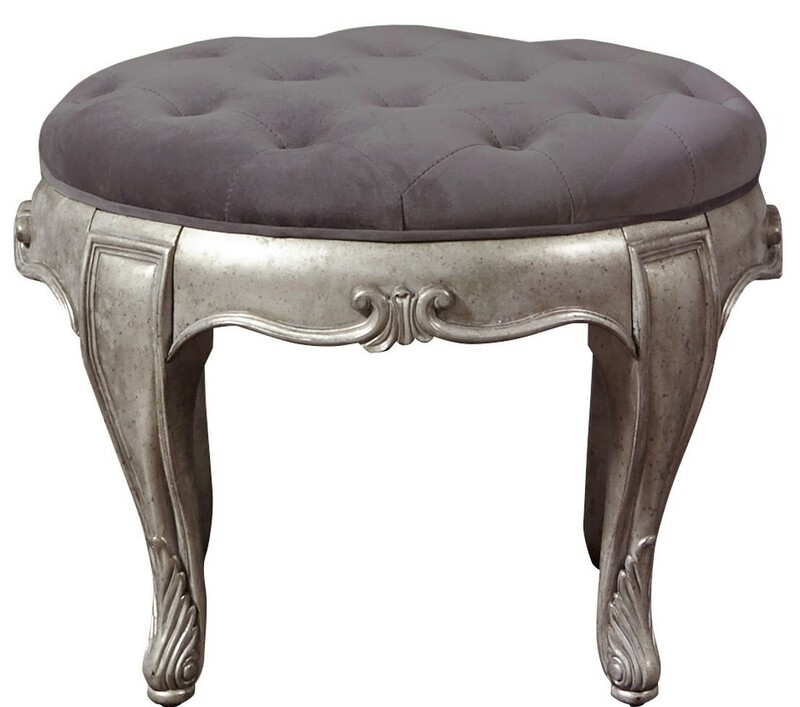 Vanity Stool: 28.3"W x 18.3"D x 18"H - 34.1lbs. Bed Bench: 52"W x 18.3"D x 18"H - 56.1lbs. 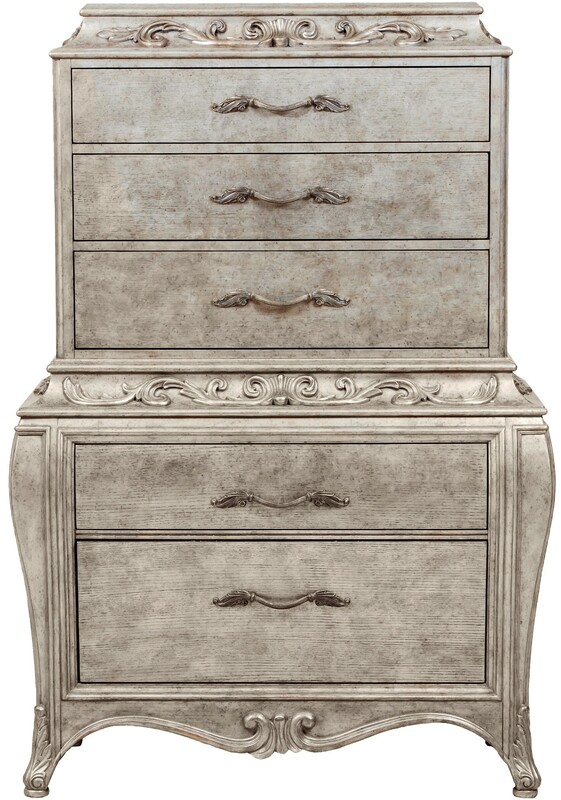 Great options for this Bedroom Set and other items in the Pulaski Rhianna collection. I am so happy! 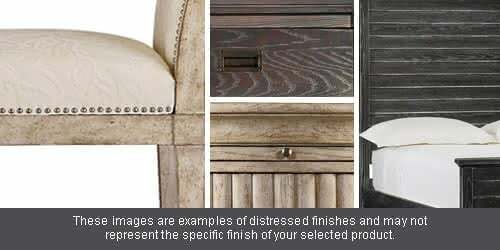 When furnishing a home you should always consult with the professionals at 1stop. 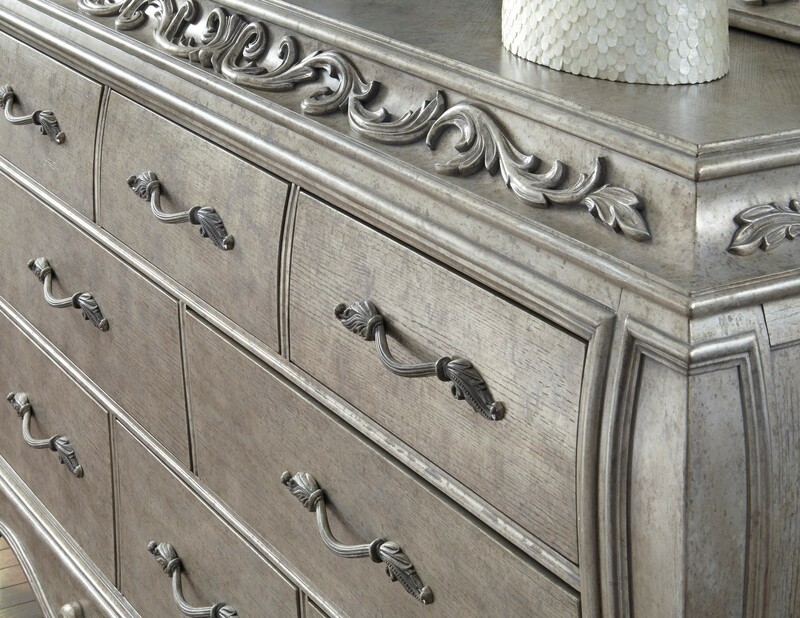 They have a big selection of Pulaski Bedroom Set that will appeal to any budget. My favorite is the Rhianna Bedroom Set. I bought one from there myself and I love it. 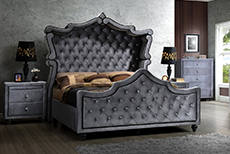 Bought this Bedroom Set a few weeks ago and am very impressed, I normally dont buy items for my home online but I loved the look of the Pulaski Rhianna collection. I have had long enough to really get a sense of the quality of the piece and have to say that it is fantastic. Not only is it attractive, it is very sturdy. I highly recommend! I love the Pulaski Rhianna collection that is sold by 1stop. This Bedroom Set made my house a home. The Rhianna at 1stopbedroom is unsurpassed in the items they offer. I am very happy with my Bedroom Set that I purchased recently. Ive always been a big fan of Pulaski and the Rhianna collection.